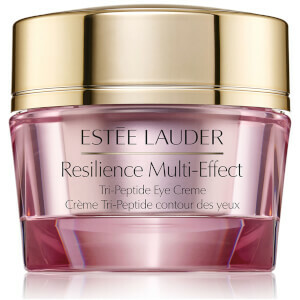 Restore a glowing and youthful complexion with Estée Lauder Resilience Multi-Effect Tri-Peptide Face and Neck Crème SPF15 for Normal/Combination Skin. The light, silky moisturiser melts in effortlessly to plump the skin full of moisture, using an exclusive Tri-Peptide Complex to boost collagen for a firmer and plumper facial contour. A powerful blend of SPF15, antioxidants and IR-Defense Technology protects the skin against environmental aggressors, helping to reduce the common signs of ageing such as fine lines and wrinkles. 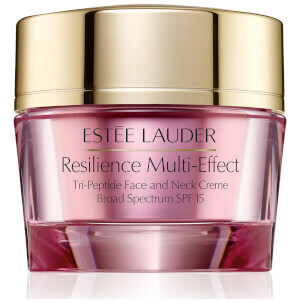 After use, skin appears smooth, radiant and revitalised. Aplique de manhã após o sérum.